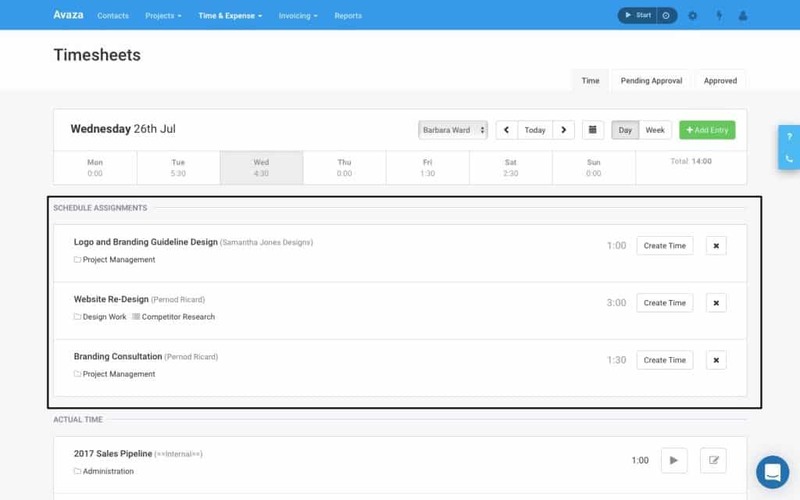 Scheduled assignments created for your scheduling users are now available on the Timesheets Day View, allowing your users to quickly create timesheets. This allows them to stay focused on the work you have prioritized for them and when they open their Timesheets tab every day, they’ll be able to dive straight into work. 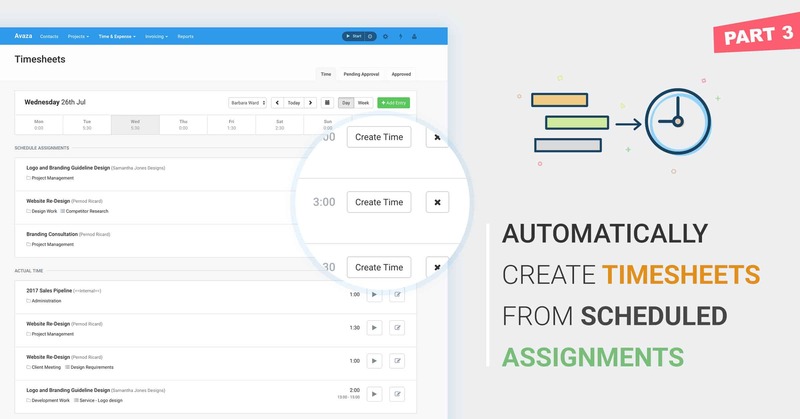 To create a timesheet from a scheduled assignment, your users can click the Create Time button on the assignment. This will open the Add Timesheet Entry pop-up, populated with all the information included in the assignment. The user can choose to add a Start/End time (if enabled for the account) or make any other edits to the timesheet before saving. We think this new feature will help you better manage which projects your team members are spending time on, and gain more control over project progress. Note: To take advantage of this functionality, users will need to have both the Schedule User role and Timesheet User role.